These unique reactors were developed to solve a number of problems in the lab. 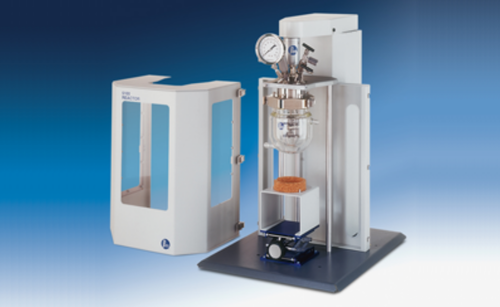 They allow the user to run reactions similar to those that have been conducted for many years in the Parr shaker, but offer stirring for better scalability, higher operating temperatures and pressures, and more extensive reactor controls and instrumentation. They also provide elevated pressures while also allowing direct observation of mixing action, color changes, or changes of state. These reactors also provide for convenient operation at moderate pressure and/or for corrosion resistance.